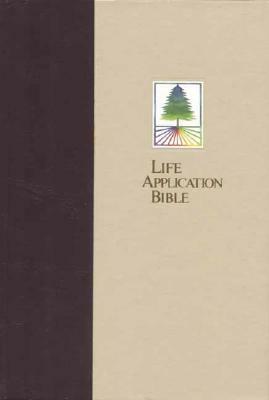 The Life Application Bible is now available in the NIV text. The only Bible designed to help people apply God's Word to everyday decisions, it contains all the features of a study Bible combined with more than 10,000 application notes that help bring the truth of Scripture to life. Red cloth with gold lettering and design on spine and front cover. No writing in the book. 2,432pp. Full refund if not satisfied.